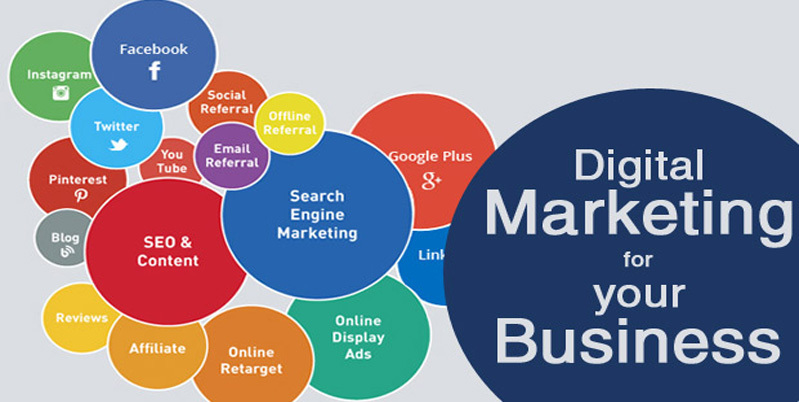 With the way ICT, the Internet infrastructure, and the introduction of digital technologies are transforming businesses, especially with digital marketing and online sales, online marketing is becoming one of the crucial components of business strategies, especially for small and medium businesses. Digital marketing is mainly online, hence also called online marketing, but it also includes mobile phones, electronic display of advertisement and any other digital medium of promoting, distributing and selling a product or service. Digital marketing strategy—as a reinvention of marketing strategy—has become a vital tool for business owners and marketers. If you own a business or you desire to build your career in marketing, or you want to make more money from marketing activities, you need to employ digital marketing tools and techniques to improve your bottom line and ensure sustainable business growth. Content Marketing, which has to do with creation and distribution of valuable, relevant and consistent content that appeals to the emotion, attracts and engages a clearly-defined (targeted) audience, while encouraging them to take action step through a call-to-action which is profitable to a business. Content marketing focuses on positioning your message for maximum exposure to drive profitable customer action and retain customers. Search Engine Optimization (SEO): This is the process of optimizing the website of an organization to make it more visible for a search engine and maximize the number of visitors to it by ensuring that the site appears high on the list of results returned by the search engine. Social Media Marketing (SMM): The use of platforms that allow us to participate in social network for the promotion of brands, products and services. We can share posts on various social media platforms to improve business visibility. It has become the best platform news updates, marketing, entertainment, education. Social media networks include Facebook, Twitter, Instagram, LinkedIn, YouTube, Pinterest and even WhatsApp. Social Media Optimization (SMO): The growing importance of social networks to business today cannot be overemphasized. SMO is the process of increasing the visibility and generating publicity to increase awareness of a brand, product, service, article or event on a number of social media outlets. Email Direct Marketing: Email marketing still remains a crucial component and a core tactic of digital business marketing strategies. It is the process of promoting a business by sending highly personalized, professional and well-formatted emails and newsletters in a highly targeted way. Conversion Rate Optimization (CRO): This is a system that analyzes the data, statistics and insights on the website of an organization to improve performance and increase the percentage of converted visitors. It is a very effective tool for increasing sales and prospective leads a company’s website. Mobile Marketing: This is any marketing or promotional activity conducted on or with a mobile device, such as mobile phone or other handheld devices. It can be used to provide customers with personalized information that promotes a brand, goods, services or ideas. Under mobile marketing, we have SMS Marketing, which is any marketing activity conducted through cell phones’ Short Message Service (SMS); Push Notifications; App-based Marketing; MMS marketing; In-game mobile marketing, and more.